Manga Entertainment have confirmed today that a new date has arrived for the oft-delayed Mardock Scramble: The Third Exhaust. It will now be released to the UK on DVD and Blu-ray on the 4th of August... and the cynic in me just has to add, probably subject to further delay. And on Manga’s podcast, they announced that Attack on Titan Part 2 has been moved up from December to 27th October, so you’ll be able to get hold of the whole series over the space of a month, given that Part 1 is coming out in September. Three reviews for you last week, beginning with hopefully the last of this summer’s tsunami of fan service with Ikki Tousen: Xtreme Xecutor Complete Collection. It’s also hopefully the last of Ikki Tousen as well, the fourth and final season made to date, and it includes the double length OVA so MVM have done hoovering up this franchise from Japan. It’s just one more instalment of battles contrived to have high school girls beating the clothes off each other. You know if you like this stuff, and you don’t need any encouragement or affirmation from me. But if you’re up for another weary sigh of resignation from someone patently too old to appreciate this show’s pneumatic charms, then feel free to click on my review. I’ll never be too old to appreciate Michiko and Hatchin though, as for my second review I got around to the conclusion of the series that I bought last year. It’s a road movie anime in the style of Cowboy Bebop and Samurai Champloo, albeit set in contemporary South America and with a Latin feel to its music, as two unlikely characters, a young girl named Hatchin, and an escaped prisoner named Michiko travel cross country in search of Hatchin’s father. Part 1 had something of an uneven tone and awkward pacing, but Michiko and Hatchin: Part 2 purifies its story and concept, finds the heart of its characters, and delivers one of the finest conclusions to any anime I have seen. Finally it was the turn of Kamisama Kiss Collection, a recent series from the director of Fruits Basket, Akitaroh Daichi. Daichi created something unique, and very memorable when he adapted Fruits Basket to anime, a show that’s still held up as an exemplar of the medium today. But Daichi’s works very rarely get licensed in the West, and Kamisama Kiss is only his second show to be released in the UK. 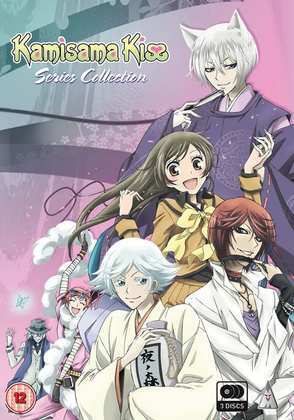 Don’t expect lightning to strike twice though, as Kamisama Kiss is ‘merely’ a very entertaining and enjoyable romantic comedy, where through no fault of her own, a young woman becomes a god, and winds up responsible for a shrine, and an initially obnoxious, if handsome and elegant fox spirit contractually devoted to her. 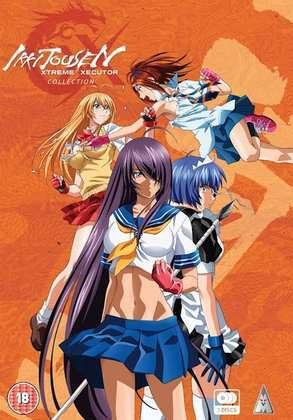 MVM release both Ikki Tousen: Xtreme Xecutor Complete Collection, and Kamisama Kiss Collection on DVD today. 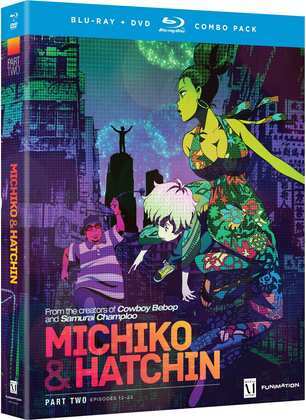 Funimation released Michiko and Hatchin Part 2 on Blu-ray/DVD combo last year, and if you want it, you’ll have to import.